Other fees: foreign transaction fees, balance transfers, cash advances, late payments, etc. Does It Have Anything to Do with Amy Schumer? The Schumer box was named after Charles Schumer, the New York Congressman (now Senator) responsible for the legislation. While they may be distant relatives, it has nothing to do with the hot and hilarious Amy Schumer from Inside Amy Schumer (and many other things). And although Amy Schumer represents proud female comedians like the Schumer Box represents straightforward terms and conditions, the Schumer Box is actually the opposite of hot and hilarious. Credit card companies, after all, are a money-seeking business first, and customer-friendly second. 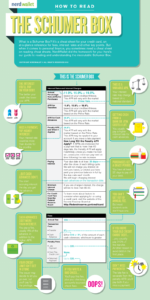 Protecting yourself from debt-inducing fees is no joke either, it is becoming increasingly important. Why is the Schumer Box Important? The Schumer Box set an example for the Consumer Financial Protection Bureau (and ethical companies in general). After TILA in 1968, there have been plenty of other advancements in consumer protection, specifically for credit card companies. 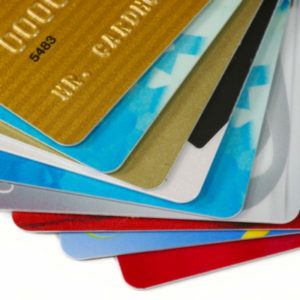 The Credit Card Accountability, Responsibility, and Disclosure (CARD) Act in 2009, and the Dodd-Frank Wall Street Reform and Consumer Protection Act in 2011 helped to limit certain credit card fees. And contract review apps like FeeBelly show how technological advancements have also been made to improve consumer protection. What About the Other Hidden Fees of Credit Cards? The Schumer Box helps to clarify terms of an agreement, but there still hidden fees to watch out for. Check the fine print for: cash advance fees, foreign transaction or conversion fees, closure fees, inactivity fees, and of course late fees. 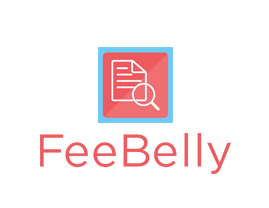 Use FeeBelly as your fine print detective, and this process will be even easier! The free contact review app allows you to scan financial agreement documents for the keywords associated with hidden fees, saving you time, hassle, and eventually money. Amy Schumer makes light of nearly every topic of modern-day living, but consumer financial protection is no laughing matter. Credit cards used to come with fees that were impossible to find and comprehend, and that was expected and accepted. The best advice offered was to make sure you try to read all the invisible fine print and educate yourself. But now, with regulations for protection like the Schumer box, and tools like FeeBelly, understanding credit card fees is easy.